KEION!GEEK - a K-On! fan blog: Merry Christmas! Well, it’s Christmas, and season’s greetings are in order. And perhaps an apology for a rather severe lack of activity on this blog for the last two weeks or so. In any case, my Christmas resolution this year is to get that CD review I’ve been putting off done before New Year’s (and yes, I know it’s supposed to be “New Year’s resolution” and not “Christmas resolution” but since the point is to do it before New Year’s, that doesn’t really work in this case, does it). 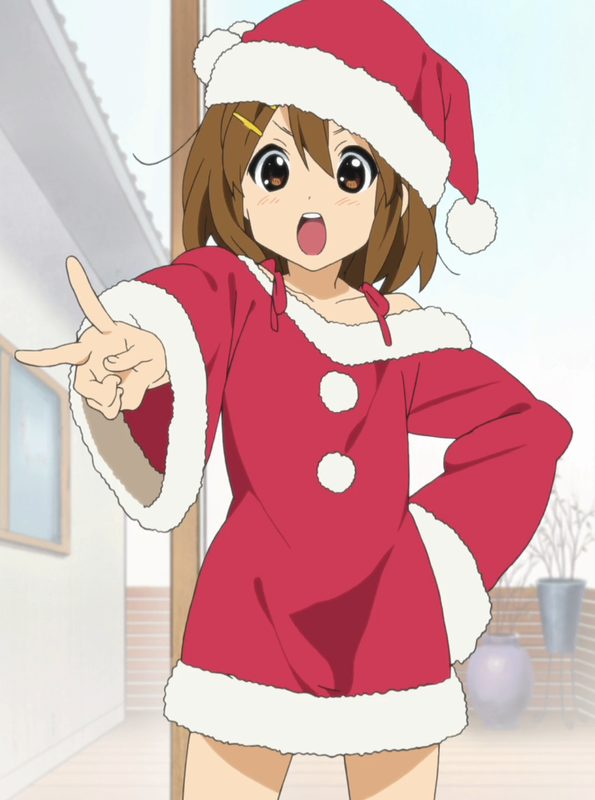 Until then, please have a happy holiday (or not, if you don’t celebrate such things) and for those that can, enjoy the K-On! movie (if you’ve already seen it, go see it again for those of us who can’t, okay?). And I’ll be back with some more updates here soon!